Thanks for asking. Where are you located? 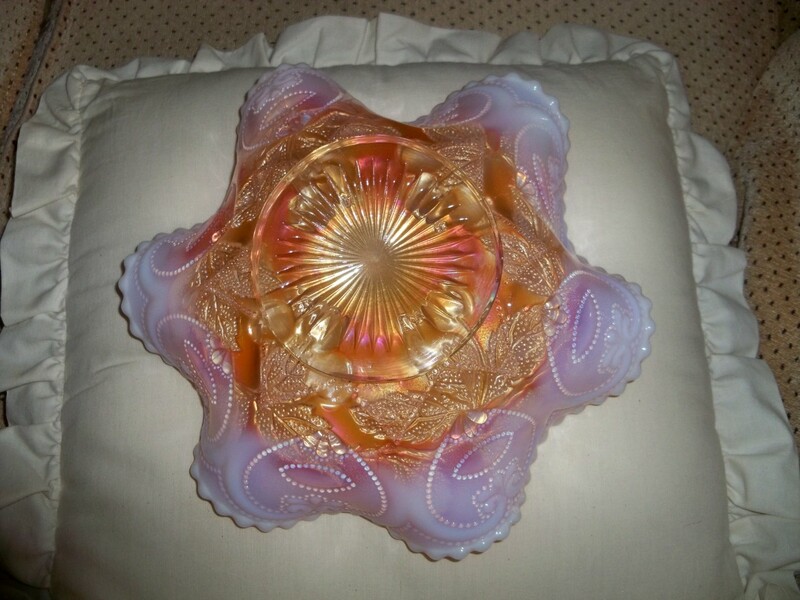 Carnival glass sells at auctions, on-line and to individuals. If you have photos and could send them to me at morrisappraisal@msn.com I would have a better idea of your best options. Carnival glass typically sells better in the mid-west so without more information I can’t really tell you where to sell it. I buy, know collectors and good carnival glass auctions I can recommend. How many pieces to you have? Condition and rarity affect selling price.